US President Donald Trump has issued condolences over the death of Russia UN ambassador Vitaly Churkin, saying the diplomat played a “crucial” role in working with the US to tackle global security challenges. The announcement noted that despite different approaches on a number of issues, Churkin had played a “crucial” role in countering challenges to international security. Argentina’s ambassador to the United Nations, Garcia Moritan, said that Vitaly Churkin’s professionalism had helped to avoid many disagreements at the UN Security Council (UNSC). "There [at the UNSC] was more agreement than disagreement, and I think that was due to Vitaly’s ability to negotiate over the 10 years of [his] work at the UN,” Moritan said, as quoted by RIA Novosti. Following Churkin's death, US Ambassador to the UN Nikki Haley said, "I did not have the honor of working with Vitaly for very long, but Vitaly's diplomacy will be long remembered." "He could spot even the narrowest opportunities to find a compromise. Having spent the early part of his career in the United States, Vitaly also recognized the value of closer ties between our two countries," Haley said. Vitaly Churkin, who served as Russia's permanent representative to the United Nations since 2006, died suddenly while at work in New York, on Monday. He would have turned 65 on Tuesday. 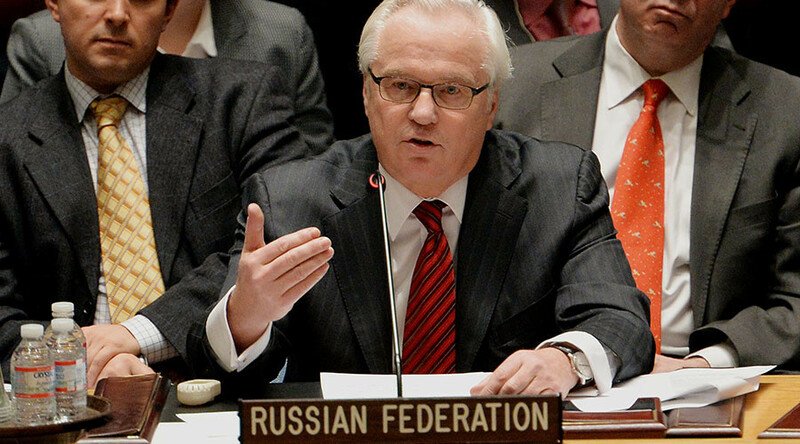 The announcement "of the untimely passing away of Ambassador Vitaly Churkin" was met with shock when it was delivered during a session at the UN headquarters.